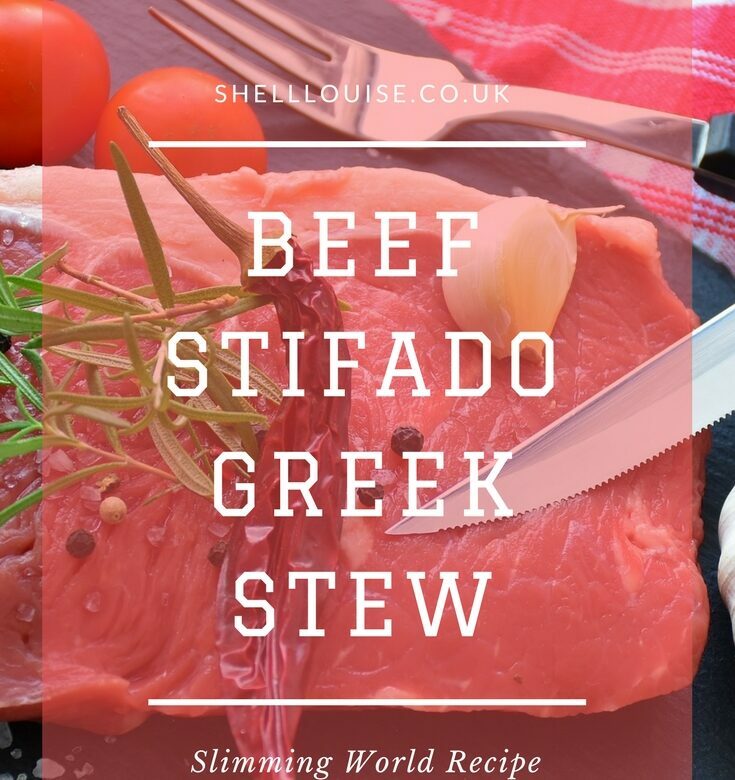 Our gorgeous KayCee is in Greece at the moment with her best friend so I thought I’d share this Greek recipe for Beef Stifado that I found on Slimming World. Put the onions, garlic and 284ml/1/2 pint of the stock in a large flameproof casserole, cover and bring to the boil. Boil for 5-10 minutes, then reduce the heat and simmer uncovered for 20-30 minutes, until the onions are tender and golden. Add the cubed beef and cook over low heat, turning occasionally, until browned all over. Stir in the tomato puree, red wine, vinegar and herbs and the remaining stock. Tie the cumin seeds, cloves and cinnamon stick in a piece of muslin and place in the dish. Cover and cook in a preheated oven at 170°C, 325°F, Gas Mark 3 for 2-21/2 hours. Peel the pickling onions and blanch in boiling water for 1 minutes. Drain and add to the casserole 1 hour before the end of cooking. Remove the herbs and spice bag from the casserole. Add the lemon juice and seasoning. Serve sprinkled with coriander. Tip: If you’re enjoying an Extra Easy SP day, serve with at least half a plate of Speed Free Foods. In our recipe video, we’ve served it with mashed carrots mixed with 1 tsp ginger and 1 tsp honey.